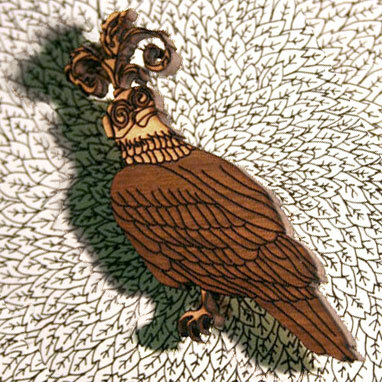 Bonnie Poplar's Bird Series features some of Evi's most elaborately detailed designs - and some of our favourites. They follow on from the Hunting Series, with an eagle, a crow, and a pigeon tagging along! This magnificent eagle is sporting a patterned hood with a crown of feathers. He patiently awaits his austringer to release him into the sky... We're so excited to be stocking Evi's super-sweet designs, and have no doubt they'll be snapped up quickly!